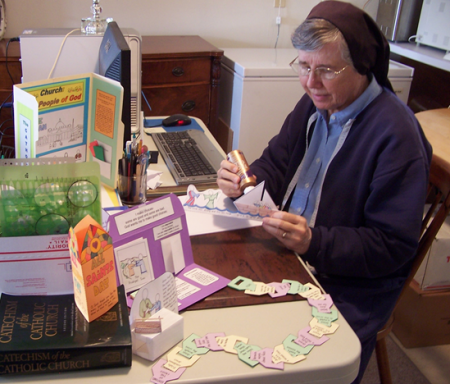 Jeannette Daniel, SLW (pictured below) and Judiann Derhake, SLW create these original 3D crafts and activities for Pre-k and elementary students. 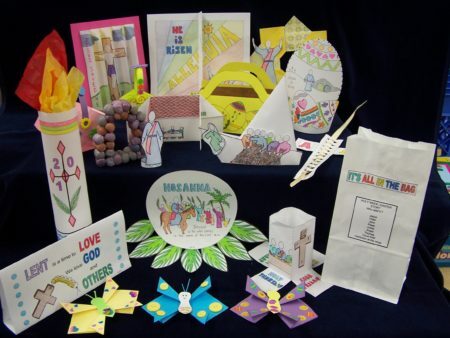 Living Word Crafts is your Catholic/Christian source for quality dimensional Old and New Testament bible crafts, sacramental preparation briefcases, religion and seasonal activities. 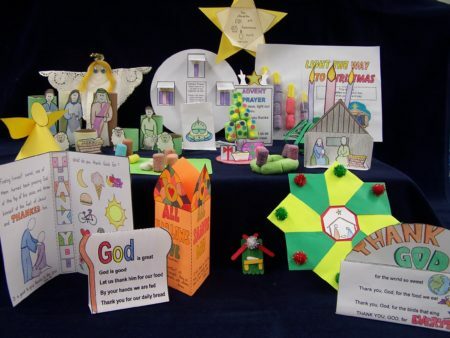 These crafts and activities will engage students as they learn about God and bring their work home to share with their family.